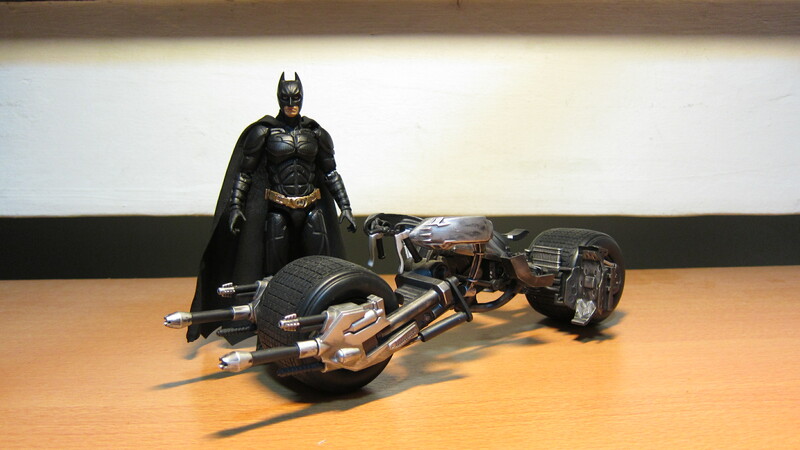 Showcasing two items together: “The Dark Knight” Movie Masters Bat-pod, and Medicom Batman from “The Dark Knight Rises”. 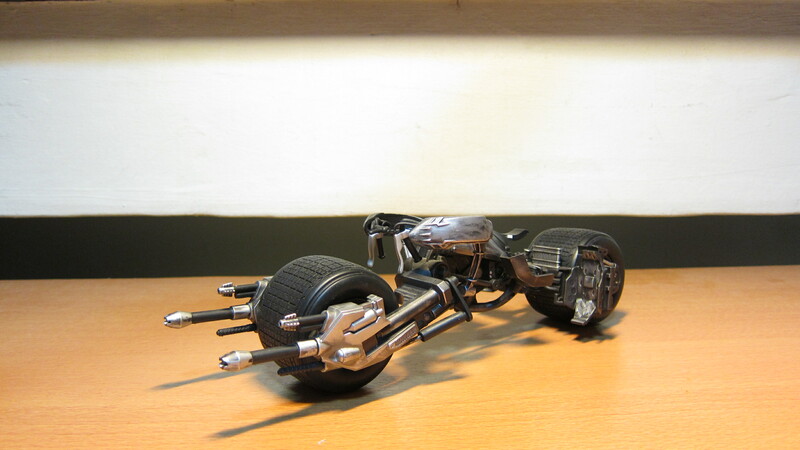 Actually, I was only looking for the Bat-pod so as to add it to my awesome TDK & TDKR Movie Masters collection, but since the seller was selling it together with the Medicom TDKR Batman as a set, I figured, what the hell. At least I finally get the Bat-pod, after having missed the chance to acquire it sooner on at least two other occasions. And besides, my Movie Masters Batman are still in their packaging. 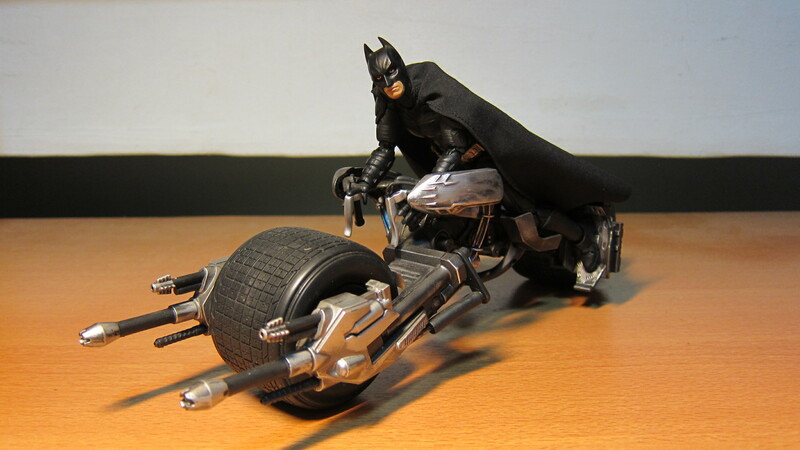 So here’s one more Batman to ride the Bat-pod. 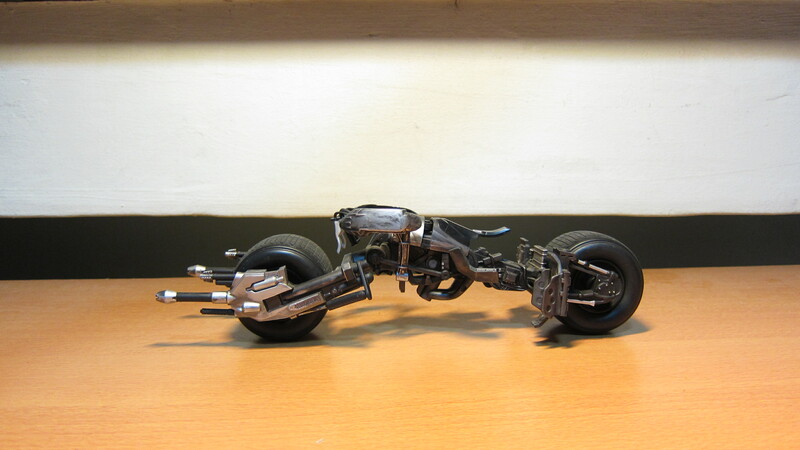 In TDK, the Bat-pod emerges out of the Tumbler after the Tumbler was severely damaged by a rocket-propelled grenade fired by the Joker. 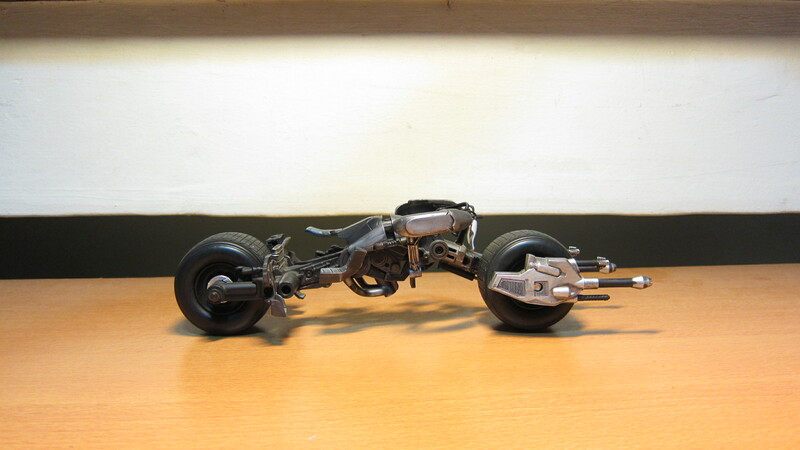 The Bat-pod reappears in TDKR, when Batman uses the Bat-pod to apprehend Bane’s men following their attack on Gotham Stock Exchange. 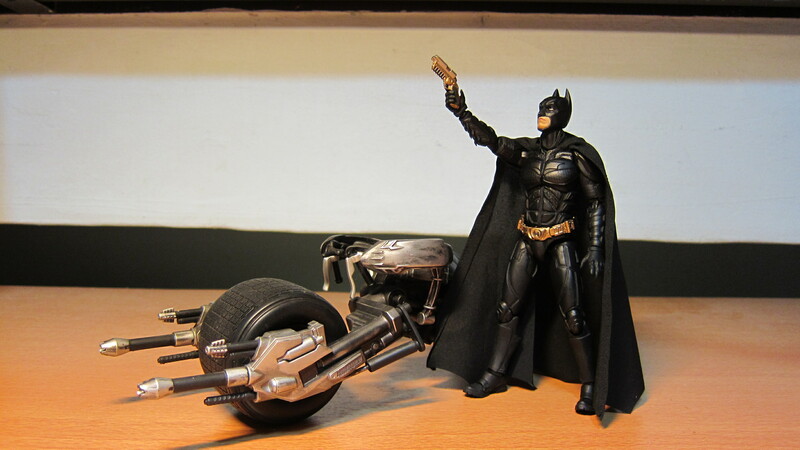 Batman later lets Catwoman use the Bat-pod when they worked together to free Gotham City. 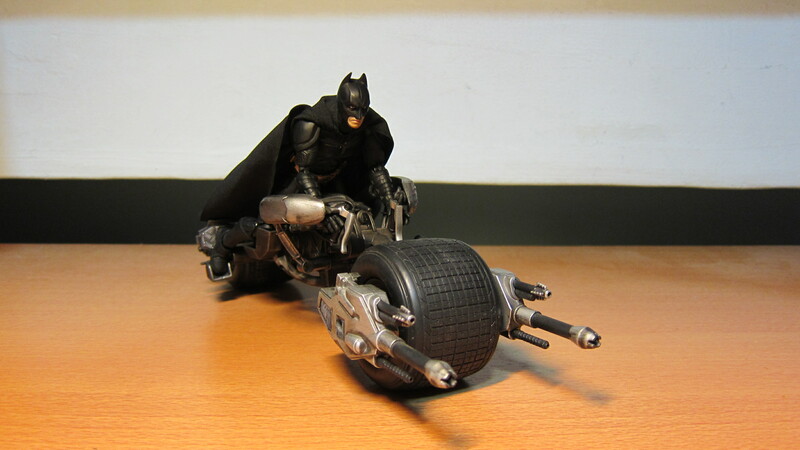 From reviews I’ve read online, the Movie Masters Batman cannot tilt his head up when riding the Bat-pod. 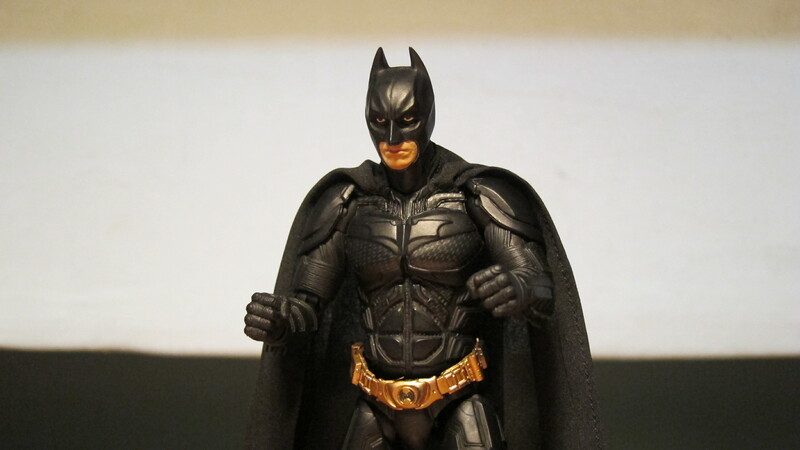 The Medicom TDKR Batman has more articulation, allowing Batman to see where he’s going. 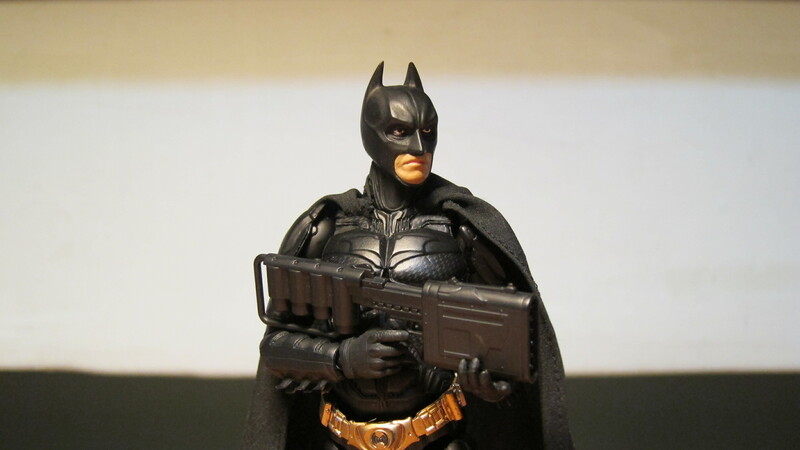 Medicom TDKR Batman comes with additional hands, Bat grapple, and an EMP rifle. The cape is made of black cloth. Fists clenched, ready for a fight.